The final day of British Pie Week 2018 saw us trying another two pies from Stanbury Wild Game Pies, including the British Pie Awards class winner in the Taste of Game "Game Pie" class which was the Mixed Game Pie from Stanbury Wild Game Pies. Find out more below! 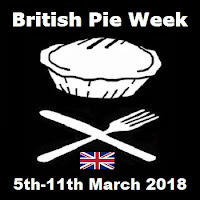 As always there is a summary of each day of Pie Week at the bottom of this article and on our dedicated British Pie Week page. Enjoy! This article will be updated throughout the day/week, so do check back for what we've been up to! 3) Organise a pie night - which happened on Tuesday evening in Birmingham! 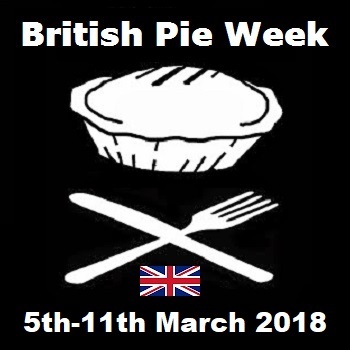 We're delighted to say that this British Pie Week has given us the most page views of any of the last 8 years, with over 41,000 page views already (and still a few hours remaining!!) 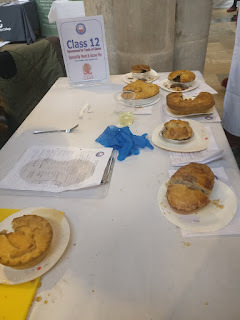 Helped hugely by the massive response to the Radfords Pie Review we did on Tuesday night, which has had over 22,000 views in the past 5 days, we're delighted that there has been so much interest in British Pie Week and in our pie blog during it! Thanks to everyone who's taken a look!! 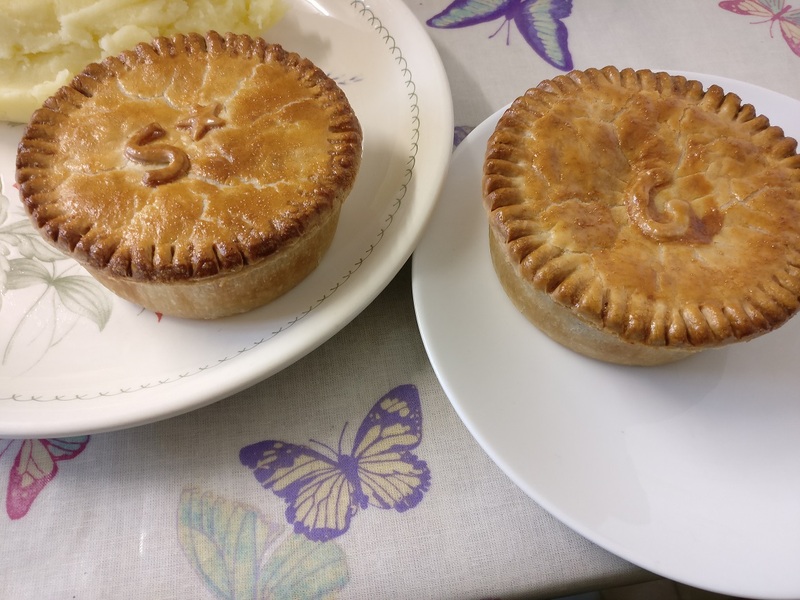 As mentioned on Friday, all bar the eating of pies each day of British Pie Week had been completed and I was very excited to get pie rating some top game pies from Stanbury Wild Game Pies again today! The two I had for lunch today were a Rabbit and Squirrel pie (which trades at £3.50 on market stalls and £4 on the Stanbury Wild Game Pies website) and the Mixed Game Pie - which won the Speciality Meats and Game Pie class at the British Pie Awards on Friday - which trades at £3 on market stalls and £3.50 on the website. Considering the unique nature of Squirrel meat, I can understand this costing a bit more, and the mixed game pie I thought was again very reasonably priced. Both were well packed with meat, especially the mixed game pie which packed in four different meats - venison, pheasant, partridge and pigeon! Like yesterday, both pies were crisp on the lid pastry (though a little paler and softer on the side and base) with a moist, succulent filling. They had what I'd describe as more of a thick sauce than a gravy inside them both, which added to the flavour even if it wasn't quite as runny a consistency as I would personally prefer. However I could not fault the meat content and quality, and despite the warning they have to give that game pies like this may contain bones, there was nothing of the sort - so a good job in preparation there! I will review them fully soon!